I really do like it when panels from other books are represented in their own styles. 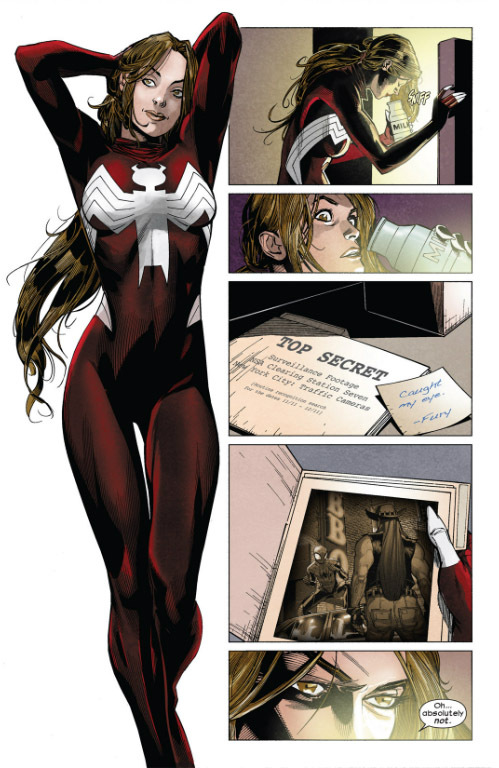 It happens later in the issue as Sandoval's art is used as the Ultimate Runaways are introduced. The second bit comes from when Thor is dining with Jane Foster (when was Ultimate Jane Foster introduced? I feel like I've missed a bit). When the Children of Tomorrow destroyed Asgard (apart from Thor's son, who is in the Room with no Doors), Thor became Valhalla. 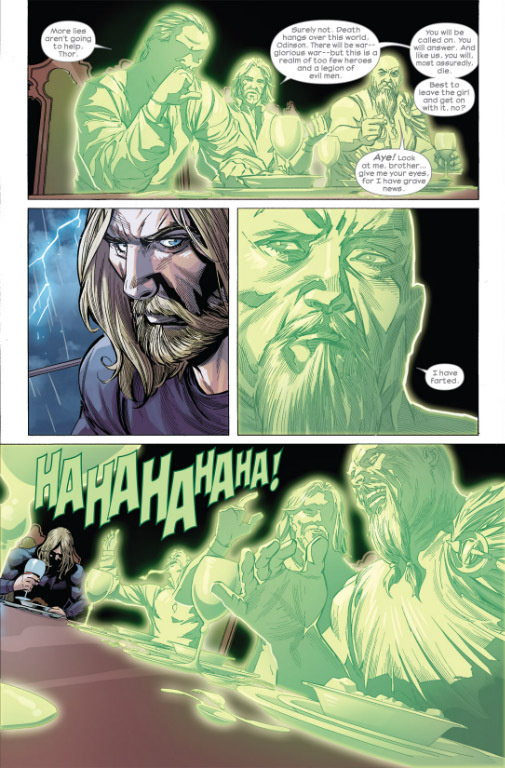 As a result, he has the ghosts of Asgard in his head. They speak to him while he's having dinner, giving him advice.